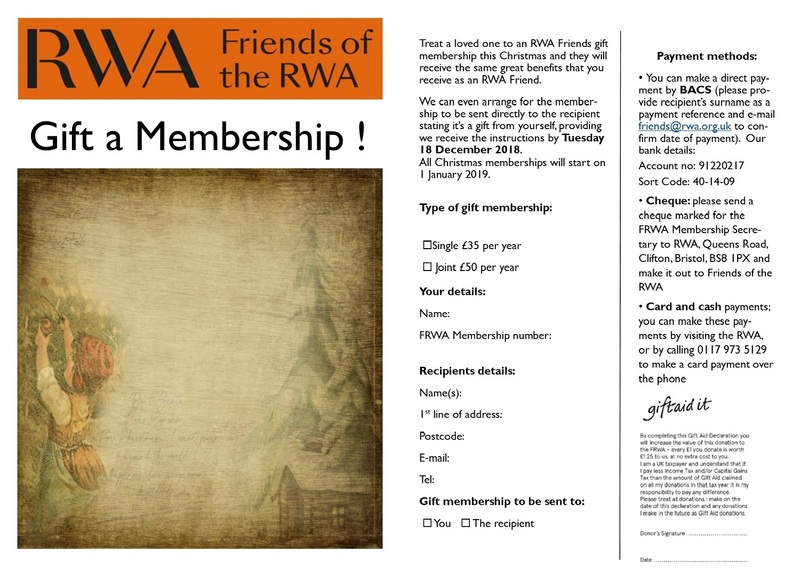 Gift an RWA Friends Membership this Christmas! Looking for a Christmas gift for the art lover who has everything? Why not give them a Friends of the RWA membership, so they can enjoy great art in Bristol all year round? Exclusive Friends Trips and Visits to galleries and museums all over the country… and more! All for just £35 for single membership, or £50 for a joint membership (two people). We can even arrange for the membership to be sent directly to the recipient stating it’s a gift from you, providing we receive the instructions by Tuesday 18 December 2018. All Christmas memberships start on 1 Jan 2019 and last for the year. See the details below. You can pay by BACS, card, cash or cheque. In person: visit the RWA and buy at the reception desk and pay by card, cash or cheque. Phone: call 0117 973 5129 and pay by card. Post: print the jpg image below and return it to us at the address stated, and pay by cheque. Gift aid: Current Friends can gift aid their payment by quoting their name and membership number. Non-Friends will need to provide their full name and address to add gift aid. 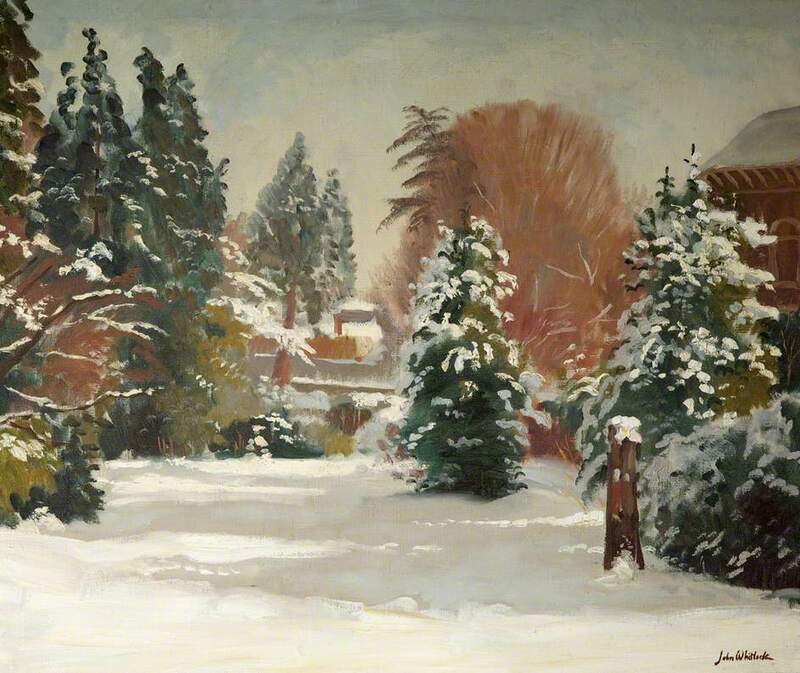 Image top: ‘Garden under Snow’ by John Whitlock Codner (1913–2008) – from the RWA permanent collection.